WE’RE LOOKING FOR NEW INTERNS! We’re looking for new interns to join our team! If you’re interested in Fashion PR, Styling, Celebrity Relations, Event Coordinating, or Sales, please contact us! 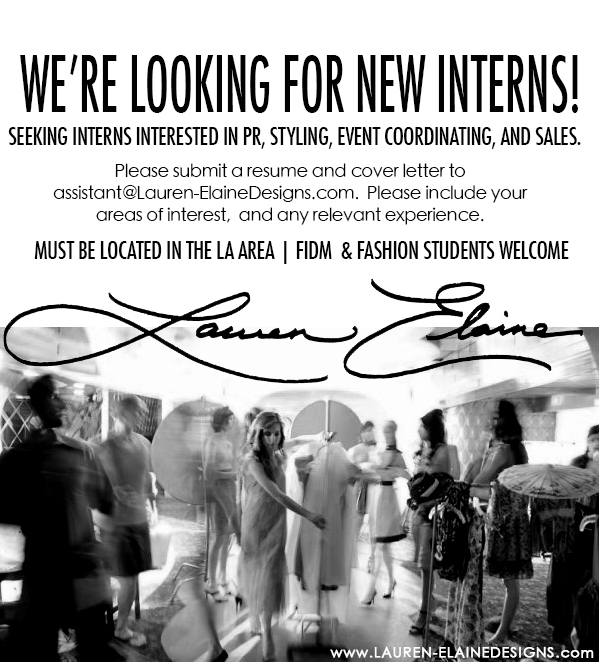 Submit your resume and a quick cover letter to assistant@Lauren-ElaineDesigns.com. Please let us know about your related experience and areas of interest. FIDM & Fashion School students welcome. LA-area interns only please. I would like tp apply!